* LHP-DH Adam Loewen (Surrey, BC) selected fourth over-all by the Baltimore Orioles, shown here at a Chipola College alumni game earned first team honors as a lefty and Honorable Mention as a DH -- yet it was Aaron McRae of LSU-Shreveport who received the most votes. …. Never mind hitting .400, second baseman T.J. Shimizu (sophomore, Toronto, Ont. ), of the Salem International Tigers, had such a sweet swing, he hit .500 in the spring of 2003. Outfielders Alex Borgo (senior, Cookstown, Ont. ), of the New Mexico State Aggies, and Josh McCurdy (senior, Thornhill, Ont. ), of the Niagara Purple Eagles, both were RBI machines. Borgo hit 17 homers and knocked in 71 runs, while McCurdy hit 12 homers with 63 RBIs. And first baseman Brandon Kaye (senior, Saltspring Island, BC), of the Oklahoma City Stars, was no slouch at the plate either, hitting 25 homers and driving in 82 runs. Meanwhile, lefty Adam Loewen (freshman, Surrey, B.C.) impressed enough on the mound for the Chipola Indians to earn a $4.02 million US signing bonus from the Baltimore Orioles. Yet, when it came time for the voters to vote it was catcher Aaron McRae (senior, Delta, BC), of the Louisiania State-Shreveport Pilots, who received the most first-place votes for our fourth annual annual All-Canadian College team. McRae hit .377 — second highest average on the Pilots — and knocked in 63 runs as the Pilots reached the 46th Avista 2003 NAIA World Series, where he was named to the all-tournament first team after hitting .400 with a triple, a homer and two RBIs. He gained NAIA All-American honorable mention honours. Not bad for a junior transfer from the Nicholls State Colonials. In Lewiston, Id., McRae tripled as the Pilots beat Indiana Tech 11-1; he singled in a 13-5 loss to the Oklahoma City Stars; had a pair of hits in a 14-4 win over the Embry Riddle Eagles 14-4; knocked in a run as LSU-Shreveport doubled the score on Spalding 8-4; and went 3-for-4, including a solo homer and a double in a 12-2 loss to Oklahoma City. To get to the NAIA World Series, the school’s first trip to the nationals, McRae helped the Pilots with a single and and an RBI in the opener against the Embry Riddle Eagles, a 5-2 win. And he helped the Pilots sweep the series with a singled in the second game a 13-2 LSU-Shreveport win. In total we had 49 voters from eight provinces on our panel (15 amateur coaches, nine scouts, six executives, four instructors, three stats mavens, two college coaches, two agents, two former players, a writer, a TV type and our crack four-person staff). A total of 65 ballots were send out and while our fourth all-Canadian team is the latest (publication date), we figure its our most accurate. We polled only 16 for our 2002 team for example. Our fourth annual annual All-Canadian College team recognizes 72 players on our first, second and third team as well as our honourable mentions from eight provinces (Ontario led the way with 33 players selected, followed by British Columbia with 22. The rest of the list included: Alberta with eight, followed by Saskatchewan and Quebec with three apiece, while Manitoba, New Brunswick and Newfoundland — our first ever from that province. Left-handed starter: Adam Loewen (freshman, Surrey, B.C) of the Chipola Indians. You were expecting anyone else than the greatest college player or highest drafted player in Canadian history? Loewen recorded more strikeouts than any of the other six lefties on the ballot. In 12 games — nine starts — Loewen fanned 89 in 64 1/3 innings. The lefty finished with a 2.47 earned run average and a 6-1 record, losing his final start in the state championships. He had a 21-inning scoreless streak and his last outing bumped his ERA up from the 2.06 range. Loewen accomplished all this with the grandstands jammed with radar guns and the scouts they brought with them. Selected fourth over-all by the Baltimore Orioles in the 2002 draft after starring with the Whalley Chiefs for coach Dennis Springenatic and with Team Canada Youth team for Greg Hamilton. Loewen attended the two-year school to remain eligible for the draft. He drew a crowd because A) he was so impressive and B) there was no guarantee he would sign with the Orioles before the end of the close period and thereby go back into the 2003 draft. Orioles general managers Jim Beattie and Mike Flanagan signed Loewen a five-year $4.02 million deal. Besides Loewen’s $3.2 million signing bonus, he was paid $50,000 in 2003, $70,000 in 2004, $100,000 in 2005 and $300,000 each in 2006-07 for $820,000 in salary. He could receive an additional bump if he makes the majors in 2005 and would climb from $100,000 to $300,000. The Orioles also gave Loewen $105,000 for a schooling package. Loewen earned Suncoast conference, Florida all-state and National Junior College all-region VIII team honours. Right-handed starter: Brooks McNiven (senior, Vernon, BC), of the British Columbia Thunderbirds. McNiven went 8-3 for the conference champion UBC with a tiny 2.20 ERA. In 13 starts McNiven, pitched two complete games walking only 10 and striking out 86 in 90 innings. He earned NAIA Region 1 player of the year honours, the second T-Bird hurler in three seasons to win the award as Jeff Francis won in 2001. As well, coming his way were all-Region I first-team honours. McNiven pitched the opener for coach TerryMcKaig as UBC edge the Albertson Coyotes 3-2 on the way to taking the NAIA Region I tourney. McNiven pitched eight innings allowing two runs — one earned — off three hits, while striking out five without a walk. UBC won in the ninth. McNiven was the top-ranked Canadian going into the draft and he was the first Canuck selected. The San Francisco Giants chose McNiven in the fourth round with the 123rd over-all selection. He received a signing bonus of $105,000. In 2002, McNiven received second-team honours on the third annual All-Canadian College team. That spring he went 10-1 in 14 games — 12 starts — with a 2.39 ERA, while fanning 66 in 86 2/3 innings. Closer: Reliever Ryan Braun (senior, Kitchener, Ont.) of the Nevada-Las Vegas Hustlin’ Rebels. Braun, a transfer from Wake Forest, had the most saves (seven) of any of the six Canucks on the closer ballot. He recorded the final six outs as UNLV beat the San Diego State Aztecs 14-9 to win the Mountain West Conference tourney in Albuquerque, N.M. Braun pitched the eighth and ninth, allowing one hit and one run, while striking out a pair. Braun took the loss as the as the Rebels dropped the opener of the NCAA regional to the New Mexico State Aggies by a 14-12 score in 11 innings. Braun was extended pitching three innings allowing four hits and three runs — one earned — while walking two and striking out two. Braun pitched a scoreless ninth and 10th before allowing the one earned run and the two unearned, as UNLV rallied for a run in the bottom half of the 11th. On the season, Braun had a 5-3 record with seven saves and a 3.44 ERA in 28 games. He walked 14 and struck out 18 in 36 2/3 innings. Braun was drafted in the sixth round by the Kansas City Royals and signed. Catcher: Aaron McRae (senior, Delta, B.C.) Louisiana State Shreveport Pilots. McRae helped the Pilots reach the 46th Avista 2003 NAIA World Series hitting .377 in 69 games with 20 doubles, seven triples, seven homers and 63 RBIs. McRae was named both the All-tournament team and the All-Region XIII team. McRae received honorable mention recognition in NAIA All-American balloting. In one of his better weeks McRae was 3-for-3 in a 12-4 Pilot victory over Arkansas-Monticello, as he doubled, tripled and had three RBIs. McRae doubled, tripled and had three RBIs. McRae was 3-for-5 with a homer and a double in a 10-5 win over Ark-Monticello. McRae singled in a 12-11 setback to Arkansas-Monticello and had another hit in a 3-2 lost to Loyola. It was McRae’s first selection to the All-Canadian College team. First base: Brandon Kaye (senior, Saltspring Island, BC) Oklahoma City Stars. Kaye earned all-tournament team honours at the 46th Avista NAIA World Series. In Lewiston, Id., Kaye doubled and scored as Oklahoma City lost 12-8 to the Lewis-Clark State Warriors in the final; he hit his ninth homer of the season and drove in three runs as Oklahoma City edged Albertson 10-8 to reach the final, including a homer in the seven-run third; he hit five singles and drove in a pair of runs as the Stars beat Embry-Riddle 14-9 and he double, singled and drove in a run in a 6-4, 10-inning loss to Alberston. On the season, Kaye hit .383 for Oklahoma City in 63 games with 12 doubles, 25 homers and 82 RBIs. He walked 15 times and struck out only 17 times in 256 at-bats. It was Kaye’s first selection to the All-Canadian College team. Second base: T.J. Shimizu (sophomore, East York, Ont. ), of the Salem International Tigers. All Shimizu, a transfer from Northeastern Oklahoma A@M, did was set school records for: the highest batting average (.500); most hits (109); slugging percentage (.757); steals (47) and on-base percentage (.576). He also holds the mark for most hits in a game (five) against Teikyo-Post in 2002. Shimizu had one week where he went 16-for-27 (.593) with 12 runs scored, a home run and six RBIs, besides going 10-for-10 in steals to earn Player of the Week honours. Included in his week was a 3-for-3 game in a 13-0 win over Ohio Valley, going 4-for-5 with three runs scored, two RBIs and three stolen bases in a 15-2 win over West Virginia Tech, 2-for-3 with a RBI, a double and a run scored in a 5-2 win over West Virginia Tech; a seventh-inning lead-off homer to dead centre as the Tigers rallied for 7-6 win over Bluefield State. Shimizu is coached by his East York homey Rich Leitch. On the season, Shimizu hit .500 in 44 games with 15 doubles, five triples, four homers and 27 RBIs, while being successful in 47 of 49 steal attempts. It was Shimizu’s first selection to the All-Canadian College team. Third base: Hyung Cho (junior, Scarborough, Ont.) of the Houston Cougars. Cho went 3-for-5 as the Houston Cougars edged the top-ranked Rice Owls 5-2 in the opener of the best-of-three NCAA super regional as he singled through the left side in the fourth on the first pitch; singled up the middle in the four-run sixth to put the Cougars up 2-0 and singled to right in the eighth. Rice squared the series with a 10-2 win as Cho singled up the middle to knock in a run in the first inning, cutting Rice’s lead to 3-1. Rice won the deciding game 5-2. On the season, Cho hit .360 in 66 games with 19 doubles, 14 homers and 66 RBIs. Cho shared third-team honours at third base on the 2002 All-Canadian College team with Mike Gillies (senior, Port Moody, BC), of the Nevada-Reno Wolfpack. Shortstop Tyson Arishenkoff (senior, Cranbrook, BC) of the LSU-Shreveport Pilots. You say Barisnikoff, around Shreveport they said Arishenkoff. When the usual ballet of bruises unfolds around second base, Arishenkoff was light on his feet and quickly got rid of the ball. The Pilots earned the right to play in the 2003 NAIA Avista World Series and he was named a Gold Glove winner. Arishenkoff was named to the World Series all-tournament first team, after he hit .333 with a homer and six RBIs. In Lewiston, Id., Arishenkoff had a pair of hits as the Pilots beat Indiana Tech 11-1 in the opener; he drove in a run with his two singles, as Shreveport fell 13-5 to the Oklahoma City Stars he hit a solo homer for the Pilots; he had three RBIs in a 14-4 win over the Embry Riddle Eagles 14-4; and singled in a run in a 12-2 loss to Oklahoma City. On the season, Arishenkoff hit .397 to lead the club in 71 games with 18 doubles, four triples, 11 homers and a whopping 62 RBIs. It was Arishenkoff’s first selection to the All-Canadian College team. Outfielders: Josh McCurdy (senior, Thornhill, Ont. ), of the Niagara Purple Eagles; Alex Borgo (senior, Cookstown, Ont. ), of the New Mexico State Aggies and Kyle Leon (senior, Guelph, Ont. ), of the Alabama-Birmingham Blazers. McCurdy was named Metro Atlantic Conference Player-of-the-Year finishing conference play with the second-best average and 31st in the country. He tallied at least one hit in every MAAC game this season, helping Niagara to a third-place finish in the 10-team league. McCurdy was nationally ranked in stolen bases (28 steals, 22nd) and RBIs (63 RBIs, 17th). He set the Niagara single-season records for hits, doubles, home runs, RBIs and stolen bases. McCurdy secured a second place for single season highest batting average for a Niagara hitter with a .403 mark. McCurdy is only the second player to hit over .400 for a season in Niagara history, the first being Frank Fiannaca who batted .469 in 1985. McCurdy had 18 doubles, a triple, 12 homers and 63 RBIs. McCurdy was named to the Metro Atlantic Athletic Conference New York Lottery Academic Honor Roll. McCurdy, who is studying computer information systems, had a 3.31. McCurdy earned second-team honours in the outfield on the All-Canadian College team. Borgo had a pair of hits and knocked in two to help the New Mexico State Aggies upset the Las Vegas-Nevada Hustlin’ Rebels 14-12 in 11 innings in Tempe Az., in the NCAA regional. Borgo singled to left in the fifth and hit a two-run single to left in the five-run sixth to cut UNLV’s lead to 5-4. Borgo tripled in a 15-0 loss to the Arizona State Sun Devils. Borgo had a pair of hits as New Mexico was eliminated with a 16-10 loss to UNLV. Hitting lead-off, Borgo hit .361 in 61 games, with 17 doubles, four triples, 17 homers and 71 RBIs — to lead all Canadian outfielders. And Borgo did it all in front of an international audience: his grandmother Renate Weber, listening via the internet in Kempton, Germany. On her 69th birthday, Borgo hit his 10th homer in a 21-1 win over the LaSalle Explorers. It was Borgo’s first selection to the All-Canadian College team. Leon was named second-team All-Conference USA, in voting conducted by the head coaches, sports information director and a media representative from each city. Leon led the Blazers in home runs (14), RBIs (57), total bases (116) and slugging percentage (.607). He’s tied for the C-USA lead in sacrifice flies, ranks fifth in C-USA in home runs and RBIs, sixth in slugging percentage and is tied for 10th in on-base percentage (.438). Leon hit a two-run homer for the Blazers in an 8-0 victory over the Saint Louis Billikens, then Leon drove in a run as UAB beat Saint Louis 12-4. On the season, Leon hit .346 in 53 games with six doubles, a triple, 14 homers and 57 RBIs. Leon went 3-for-4 for Alabama-Birmingham Blazers in that he homered in three of four games. Leon homered and doubled, knocking in a pair of runs in an 11-8 loss to the East Carolina Pirates; homered, singled and drove in a pair of runs in a 12-8 victory against East Carolina; singled, knocked in a base and stole a run in a 12-9 loss to East Carolina; homered, singled, knocked in three runs and stole a base in a 7-4 loss to the Samford Bulldogs. Leon is a repeat winner, being named to the All-Canadian College first team in 2000. DH: Ryan Brnardic (senior, La Salle, Ont. ), Southeastern State Oklahoma Savages. Brnardic shared Player of the Week 6 honours with Alex Borgo as he knocked in four runs in a 16-2 romp over the Southwest Baptist with a three-run homer and a doubled; two runs in a 13-1 win over Southwest Baptist singling in a run and bouncing out to knock in a run, plus he pitched a scoreless 2/3 of an inning in relief; five runs in an 18-1 thumping of Ouachita Baptist as he homered twice; knocked in a run in a 12-5 win over the Henderson State Reddies and five runs in an 11-0 shutout over Henderson State Reddies as he homered twice and doubled. The DH hit .369 in 53 games with 12 doubles, two triples, 14 homers and 67 RBIs. Brnardic was drafted in the 31st round and signed by the Baltimore Orioles, who wanted him to pitch, rather than hit. It was Brnardic’s first selection to the All-Canadian College team. Left-handed starter: Drew Taylor (sophomore, Toronto, Ont. ), of the Michigan Wolverines. It’s not easy being a chip off the old block. Taylor is the son of former major-league reliever Ron Taylor, who won two World Series rings while picking up a win and saving two, while pitching 10 1/3 scoreless innings as the 1964 St. Louis Cardinals and the 1969 New York Mets won the World Series, the highlights of his 11-year career. And it’s tougher still being a successful chip off the old block. 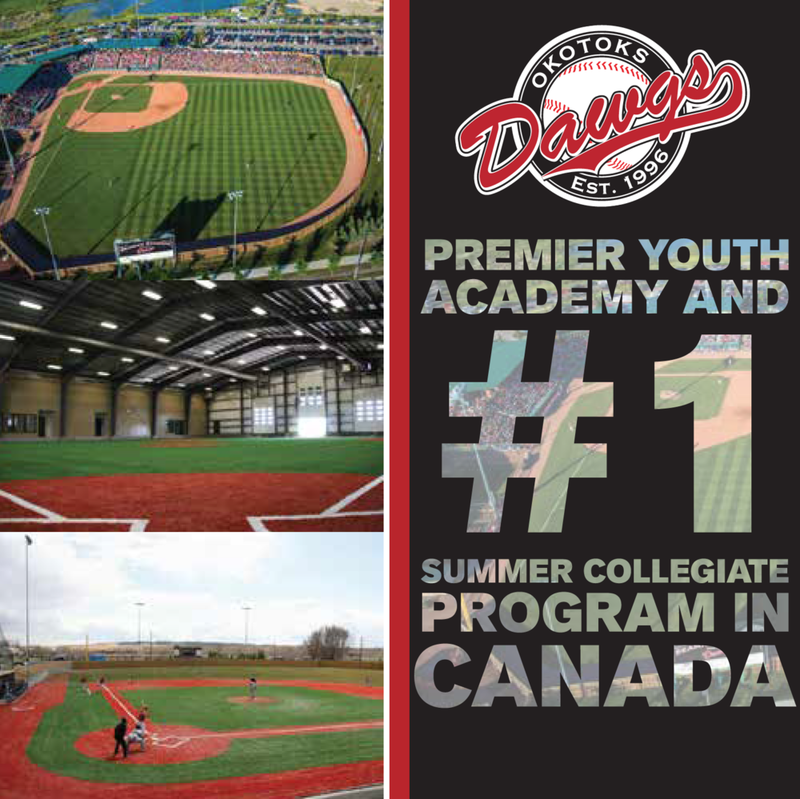 Drew Taylor graduated from coach Dan Bleiwas’ successful Ontario Blue Jays program and headed off to Georgia Tech, after turning down a $300,000 offer from the Atlanta Braves. In the spring of 2002, he appeared in 11 games, working only 9 1/3 innings. When some Tech starters weren’t drafted, Taylor transferred to Michigan and boom he blossomed like a mother’s smile. With the Wolverines he won his opener on his spring working 8 1/3 innings as Michigan beat the Bethune-Cookman Wildcats 7-5 at Jackie Robinson Park in Daytona Beach, Fla. It was the very same diamond where his pop won his first game as an 18-year-old pro in 1955, pitching for Daytona Beach. Taylor went 9-1 in 14 starts for Michigan with a 3.97 ERA. In 95 1/3 innings he fanned 51 and struck out 25. Taylor was named winner of the Geoff Zahn award as Michigan’s Most Valuable Pitcher and he was named Big 10 Pitcher of the Year. The 2003 team awards were based on the vote of the players following the conclusion of Michigan’s season and fourth-place finish at the Big Ten tourney. Taylor pitched his team-leading fifth complete game in the tournament opener against the Indiana Hooisers and he became the first Wolverine to win nine games in a season since 1997. Taylor led the Wolverines in pitching starts (14), complete games (five), innings pitched (95 1/3 innings) and wins (nine), finishing the season with wins in his last five starts. Right-handed starter: Scott Corby (senior, London, Ont.) of the Saginaw Valley State Cardinals. What fascinated voters with Corby’s numbers was the fact he limited opposing hitters to a .175 batting average. Corby finished his college career in style going 9-1 in 11 games, which included seven complete games and four shutouts. As former Blue Jays manager Cito Gaston used to say about giving the ball toDavid Cone, “time to get out the rocking chair and relax.” Corby had a 2.11 ERA walking 32 and striking out 68 in 72 2/3 innings for veteran coach Walt Head. Corby pitched Saginaw Valley to a 7-6, come-from-behind win over the Grand Valley State Lakers in second-round action of the Great Lakes Conference tourney. He went the distance pitching nine innings, re-gaining his command after a four-run, first as he allowed eight his and six runs — five earned — while walking two and striking out five. Corby, who starred for the London Badgers and coach Mike Lumley, was 8-0 before losing a 2-1 decision to the Ashland Eagles. Closer (tie): Shaun Peet (senior, Goderich, Ont. ), of the Ohio Bobcats and Cory Stuart (junior, White Rock, BC), University of British Columbia Thunderbirds. Peet was a swing man for the Bobcats, starting out in the bullpen and excelling so well, that he was moved into the rotation. Peet recorded Ohio’s first post-season win since 2000 with a first-round victory over Ball State at the Mid-America Conference tourney, a 14-4 win and was named the team’s Most Valuable Pitcher by the coaching staff for fulfilling a number of roles for Ohio. Peet allowed a run in the first, another in the third and sailed the rest of the way before tiring in the ninth, pitching 8 2/3 innings allowing 11 hits and four runs, while walking three and striking out five. Peet led the conference in ERA (2.77) and was a perfect 5-0 for the Bobcats in 17 games. He made five starts and came out of the bullpen 12 times. Peet recorded his first career save before running off four straight victories from April 19th-May 9th – including back-to-back complete-game decisions against Kent State and Buffalo. Peet was 5-0, walking 23 and fanning 60 in 65 innings. Equally as impressive he was elected to the Academic All-Mid America conference team. A management information systems and finance double major owns a GPA of 3.75. The 15-member academic All-MAC team was voted on by the league’s faculty representatives. To qualify, a student-athlete must have at least a 3.20 cumulative GPA and have participated in at least 50% of the contests for that particular sport. First-year, students and junior college transfers in their first year of residence are not eligible for the award. Outstanding academic and athletic accomplishments from the current season only are considered. It was Peet’s first selection to the All-Canadian College team. Stuart was asked to get the toughest outs, the final three, for UBC by coach Terry McKaig. Stuart pitched in 22 games working 25 innings and recording six saves. He walked only six and had 38 strikeouts. Stuart earned all earned all-Region I team honours and NAIA All-American honorable mention. He was 1-1 with a 2.88 ERA. Stuart was the third Canadian chosen over-all in the June draft, going to the New York Yankees in the fifth round. He signed and was given a $170,000 bonus. It was Stuart’s first selection to the All-Canadian College team. Catcher (tie): Aaron Izaryk (sophomore, Markham, Ont. ), of the Maine Black Bears and Corey Stang(sophomore, Surrey BC), of the Northeastern Oklahoma Golden Norsemen. Izaryk was selected to the America East All-Championship team and earned second team All-America East honours, leading the conference in walks (36). Izaryk singled in Maine’s three-run second as they went on to beat the Vermont Catamounts 6-1 in the America East conference tourney. With a Maine man aboard in the second, Izaryk singled. Izaryk had a 3-for-4 day to help the Black Bears edge the Albany Great Danes 5-4. Izaryk hit a bases-clearing double as Maine scored in the bottom of the seventh for a 4-3 win over the Northeastern Huskies. He also singled twice and knocked in three runs as Maine beat the Husson Braves 11-2. On the season, Izaryk hit .310 in 55 games with seven doubles, a triple, two homers and 33 RBIs. Izaryk had a .995 fielding percentage. Izaryk was elected to the 2002 All-Canadian College second team at the DH spot. Stang had a pair of hits, including a double in a 6-5 win over Arkansas-Fort Smith Lions and singled in the second game of the doubleheader, a 4-3 loss to Arkansas-Fort Smith. Stang singled in a 12-9 loss to the Connors State Cowboys. He homered as the Northeastern Oklahoma A&M Norse beat the Crowder Riders 12-4. Stang doubled and singled as Northeastern Oklahoma lost 19-2 to Crowder. Stang doubled and singled in a 6-2 loss to Longview at Miami. He also caught the final five innings as right-hander Karl Gelinas(freshman, Iberville, Que.) pitched a perfect game in a 4-0 win over Coffeyville. On the season, Stang hit .338 in 42 games with nine doubles, six homers and 28 RBIs. Stang garnered honourable mention to the 2002 All-Canadian College team. First base: Cam Houston (junior, Spruce Grove, Alta. ), of the Fort Hays State Tigers. while posting a .412 average with 12 home runs, 19 doubles and a team-leading 79 RBIs and 96 hits. He earned Player of the Week Three and 14 honours as he went 6-for-6, driving in five runs in an 18-3 win over Southern Colorado in the final of the Rocky Mountain conference tourney. He hit 13-for-24 (.542) with nine RBIs, three home runs and three doubles in the five-game tourney. Houston doubled and knocked in a run in the tourney opener as Fort Hays beat the Regis Rangers 7-4; he singled and drove in a run in a 6-5 loss to Southern Colorado; went 3-for-5 with a pair of RBIs in a 13-3 win over Regis; and had a pair of hits, including a double, as Fort Hays beat Southern Colorado 9-4 to force a deciding game. Houston was named co-Most Valuable Player of the tourney. He had a pair of hits and knocked in a pair of runs as the Fort Hays lost 4-3 to Sonoma State to be eliminated from the NCAA Division II West Region championships. On the season, Houston drove in a whopping 79 RBIs. It was Houston’s first selection to the All-Canadian College team. Second base: Vincent Ircandia (sophomore, Calgary, Alta. ), of the Niagara Purple Eagles. Ircandia had an RBI-single as Niagara lost 4-3 to the Marist Red Foxes in the opener Metro Atlantic Athletic Conference tourney. Ircandia hit .345 in 50 games with 11 doubles, five triples, four homers and 46 RBIs. Ircandia was named to the Metro Atlantic Athletic Conference New York Lottery Academic Honor Roll. Irandia, who is taking business, had a 3.65 GPA. Ircandia earned honorable mention on the 2002 the All-Canadian College team. Third base: Russ Smithson (freshman, Port Coquitlam, BC) of the El Paso Tejanos. Smithson was named to the 2003 Western Junior College Athletic Conference All-South first team. He set a school record with 113 total bases. Smithson doubled and knocked in two runs as the Tejanos lost 9-5 to be eliminated by Grayson County in the Western Conference tourney. Smithson singled and drove in a run the opener, a 15-8 loss to Temple. On the season, Smithson hit .436 with 19 doubles, one triple, seven homers and 69 RBIs. For Smithson, it was his first selection to the All-Canadian College team. Shortstop: David Parsons (junior, Gander, Nfld. ), of the Salem International Tigers. Parsons received honorable mention honours in the West Virginia Conference conference. The speedy Parsons holds the school record for steals in a game (six) against WVU-Tech in 2002. On the season he hit .430 in 43 games with 10 doubles, six triples, five homers and 40 RBIs, while stealing 29 bases — to finish third in the conference — for coach Rich Leitch (East York, Ont. ), who on most days started nine position players from north of the border and ditto sometimes the man on the mound. For Parsons it was his first selection to the All-Canadian College team. Outfielders: Dana Tosoni (sophomore, Coquitlam, BC), of the Garden City Broncbusters; Dustin Schroer (sophomore, Surrey, BC), of the Eastern Oklahoma State Mounatineers and Chris Emanuele (sophomore, Mississauga, Ont. ), of the Northeastern Huskies. Tosoni was named to the All-Jayhawk West first team. He doubled and homered as Garden City dropped a 10-5 decision to the Cowley County Tigers in the Region VI final tourney. Tosoni went 2-for-4 and scored a run, as well as driving in three runs. He also knocked in three runs as Garden City was eliminated by a 7-3 score against Neosho County. Tosoni also homered and knocked in three runs as the Garden City beat the Cloud Thunderbirds to win the Jayhawk West Sub-Regional. Tosoni also went 3-for-4 with a pair of RBIs in the semi-final, a 16-5 win over Cloud. Tosoni singled and drove in a run as the Broncbusters scored six times in the seventh for an 8-3 win over the Hutchinson Dragons. On the season, he hit .391 in 55 games with 16 doubles, two triples, 10 homers and 57 RBIs. It was Tosoni’s first selection to the All-Canadian College team. Schroer had the third-best average for the Eastern Oklahoma Mountaineers, but lost 9-5 to the Connors State Cowboys in the Region II tournament in Ft. Smith, Ark. The Mountaineers opened with a 12-10 win over the Northeastern Oklahoma, then beat Connors 11-6. Eastern Oklahoma lost 13-12 to Connors. On the season, Schroer hit .355 in 56 games with 13 doubles, six triples, 13 homers and 49 RBIs. For Schroer, it was his first selection to the All-Canadian College team. Emanuele was named to the America East, All-Rookie team and second-team All-Conference. He was 4-for-4 with a homer as Northeastern lost 11-8 to Louisiana State Tigers NCAA regionals. He singled three times and hit a solo homer. Then, he was 2-for-3 with a three-run homer as Northeastern was beaten 12-6 by the North Carolina-Wilmington Seahawks. Emanuele beat out an infield single to third to open the fifth, hit a three-run homer over the wall in left-centre. Emanuele belted a pair of homers with four RBIs, three runs scored and a stolen base to earned a spot on the All-Regional team after batting .857 (6-for-7), the highest of any player at the regional site. Emanuele had the highest slugging percentage (1.714) and on-base percentage (.875) of any player at the Baton Rouge regional. He started all 51 games in the outfield as a freshman, finished second on team in batting average, led the team in runs scored (36) and hits (59), while stealing 13 bases in 16 attempts. He also went 8-for-13 in a three-game series against Oral Roberts with four RBIs and seven runs scored and went 7-for-12 in a pair of doubleheaders against Maine. On the season, Emanule, who starred for coaches Ron Gotwalt, Marc Picard,Jason Chee-Aloy and Greg Hamilton with Mississauga North, Team Ontario and Team Canada, hit .335 with 12 doubles, one triple, five homers and 31 RBIs. It was Emanuele’s first selection to the All-Canadian College team. DH: John Hull (junior, East York, Ont.) of the Salem International Tigers. Hull had a double in Salem International’s 11-5 defeat to Concordia-St. Paul at the 14th Annual Gene Cusic Collegiate Classic in Fort Myers. Hull was 2-for-2 with an RBI in an 8-3 loss to Concordia-St. Paul. Hull doubled, singled and knocked in a run in an 8-3 loss to Concordia-St. Paul. Hull hit .369 in 40 games with 14 doubles, two triples, four homers and 34 RBIs and 14 steals. For Hull, it was his first selection to the All-Canadian College team. Left-handed starter: Ryan Lupul (senior, Prince George, BC), of the William Penn Statesmen. Lupul may have been more dominant than the others. He was certainly stingier when it came to giving up runs. However, seldom did Lupul receive the needed run support. He had the lowest ERA in the NAIA with a 1.16 mark. Lupul had a 4-4 record, while walking a mere nine and striking out 71 in 62 innings. Lupul earned NAIA All-American honours. Lupul’s ERA was difficult to find pitching for the William Penn Statesmen. Lupul pitched in 11 games, starting nine, and fashioned six complete games. He also picked up a save. Lupul limited opponents to a .177 average. At the plate, Lupul batted .333 in 26 games with seven doubles, a homer and 15 RBIs. Lupul received third-team honours with the third annual All-Canadian College team in 2002. Right-handed starter (tie): John Axford (sophomore, Port Dover, Ont.) of the Notre Dame Fighting Irish and Phil Sobkow (junior Calder, Sask.) of the Central Missouri State Mules. We had 13 talented right-handers and our horde of voters still wound up with a tie between Sobkow and Axford. Axford had as many wins as Corby did, going 9-3 in 13 starts. Opposing hitters batted .245 against Axford. Axford dominated in the early going quite unlike an Irish pitcher has ever dominated on the mound. Axford worked six innings allowing four hits and one run in an 11-4 win over the Connecticut Huskies. The win moved Axford to 9-0. Axford, at the time, one of five undefeated pitchers in the nation with eight-plus wins extended his consecutive winning streak to 13, the fifth-longest winning streak in the program’s history. Since 1928, only Aaron Heilman, a four-year All-American and currently the New York Mets leading triple-A prospect, has posted a longer winning streak among Notre Dame pitchers during that 75-year span, winning all 15 of his decisions in 2001. The outing against UCONN lowered his season ERA to 2.21 and his opponent batting average to .215. Axford the former Team Ontario stud for coaches Marc Picard, Jason Chee-Aloy and then with Greg Hamilton and Team Canada suffered his first loss of the season as the 13th-ranked Notre Dame lost 7-5 to the West Virginia Mountaineers. Axford pitched three innings, allowing five hits and three runs while walking two and striking out two in his 54-pitch outing for coach Paul Mainieri. In 71 innings Axford walked 50 and had 69 strikeouts, while posting a 4.31 ERA. In 2002, Axford received second-team, honours on the All-Canadian College team. Sobkow might have been named to the third team but he had something the majority of the other players didn’t have — a championship. Sobkow pitched the No. 1-ranked Central Missouri to their second win at the 36th NCAA Division-II championship beating the 21st-ranked Franklin Pierce Ravens 11-4 in Montgomery, Ala. Sobkow pitched six innings, allowing four hits and three runs, while walking six and striking out nine in his 116-pitch outing. On the season, Sobkow was 8-0 with a 3.15 ERA. In 15 games, 10 of them starts he walked 47 and struck out 82. Sobkow earned Missouri Conference first-team honours, leading the conference in ERA (2.54) and strikeouts per nine innings (9.53) while going 6-0 for CMSU in conference play. He walked 47 and and struck out 82 in 68 2/3 innings. Sobow started the season in the bullpen and then made 10 starts, including two complete-game shutouts. Sobkow was selected in the 10th round by the Los Angeles Dodgers and signed. For Sobkow, it was his first selection to the All-Canadian College team. Closer: John Hurd (sophomore, Fruitvale, BC) of the Southern Idaho Golden Eagles. Hurd began the season as a speedy outfielder before being used as a dual-purpose weapon: get on base, steal some bases and then get the final outs. Hurd gained the win as Southern Idaho beat Dixie State 6-5 in the deciding game of the South West best-of-three semi-final. He pitched 2 2/3 innings allowing three hits and one unearned run, while walking one and striking out five. He earned South West conference first-team honours as an outfielder, hitting .366 in 46 games with eight doubles and 32 RBIs. On the season, Hurd had a microscopic 1.37 ERA in 15 games, a 2-2 record and five saves. He struck out 22 hitters in 19 2/3 innings. For Hurd, it was his first selection to the All-Canadian College team. Catcher: Jake Elder (sophomore, North Delta, BC) of the Minnesota Golden Gophers. Elder was named to the Big Ten All-Tournament team honors, despite wearing three different splints due to injuries. He hit .583 with five RBI in four games. Elder hit a solo homer as Minnesota edged the Ohio State Buckeyes 5-4 in the Big Ten Conference tournament. Elder went 2-for-3 and knocked in a pair of runs, including his solo homer. Elder singled in a 4-3 win over the Penn State Nittany Lions. Elder had a 2-for-3 day, knocking in two runs as the Golden Gophers lost 17-10 to Ohio State. Ohio State then eliminated Minnesota 10-8 as Elder again went 2-for-3. He singled and knocked in a run as Minnesota beat the Pepperdine Waves 7-5 at the NCAA Baseball Regional in Long Beach, Calif. Elder singled and drove in a run in a 5-3 loss to the Washington Huskies in the opener. Elder singled as Washington eliminated Minnesota 4-1. Elder had a .415 on-base percentage, ranking third on the team among regulars. He had a career-high four hits against Penn State. On the season, Elder hit .339 in 43 games with seven doubles, two homers and 15 RBIs in 43 games, starting 34. It was Elder’s first selection to the All-Canadian College team. First base (tie): Kip Simon (sophomore, Regina, Sask.) of the Trinidad State Trojans and Karl Amonite(junior, Woodslee, Ont. ), of the Auburn Tigers. Simon had one of his better outings when he gained the win as the Trojans beat the New Mexico Military Broncos 13-6. Simon pitched 3 1/3 innings allowing three hits and one run. At the plate Simon had a pair of singles. Simon singled in a 5-2 win over NMMI and added a double in a 4-1 win over NMNI. He also knocked in a run in a 10-0 win over NMMI. Meanwhile on the mound, Simon was 2-1 with a 3.82 ERA in five games, striking out 10 hitters in 11 innings. On the season, Simon batted .404 in 56 games with 19 doubles, two triples, 13 homers and 61 RBIs. For Simon it was first selection to the All-Canadian College team. Amonite earned Second-Team All-SEC selection in a vote of league’s head coaches. He second on in home runs (12), RBIs (56) and slugging percentage (.578). In SEC conference games he was second in RBIs (35) and slugging percentage (.689), while finished third in on base percentage (.455), tied for fourth in home runs (eight) and was sixth in average (.369). Amonite hit .379 (11-for-26) in eight post-season games with three doubles, two homers and five RBIs. In the Auburn regional hit .375 with a pair of doubles and home runs and hit .385 (5-for-13) in SEC Tournament, including 5-for-9 in final three games. Amonite had an 11-game hitting streak in SEC action (.575, 20-for-43, with five homers and 16 RBIs. He hit four home runs in a five-game span from April 12-19 and became the first Auburn player since Gabe Gross in 2001 to homer in consecutive at-bats with a pair of home runs against Arkansas. On the season, he hit .330, with 13 doubles, one triple, 12 homers and 56 RBIs. Amonite was named to the All-Canadian College second team in 2002. Second base: Chris Becker (junior, Guelph, Ont. ), of the Missouri Valley Vikings. Becker doubled and singled as the Vikings beat the Lindenwood Crusaders 15-10 and hit a two-run triple in a 16-5 win against Lindenwood. Becker also had an RBI-single in a 12-3 win over Lindenwood and an an RBI-single in a 16-3 win over Lindenwood. Becker drove in a pair of runs in a 6-5 loss to the Oklahoma City Stars and doubled in a 7-3 loss to the Stars. In a 12-1 win over the Central Methodist Eagles Becker had two doubles. On the season, Becker hit .377 with 16 doubles, one triple, four homers and 40 RBIs. For Becker, it was his first selection to the All-Canadian College team. Third base: Emerson Frostad (sophomore, Calgary, Alta. ), of the Lewis-Clark State Warriors. Frostad was named a second team NAIA All-American. He was a perfect 3-for-3 in a 6-4 win over the British Columbia Thunderbirds, hitting a two-run homer, a single and a double and then went 4-for-5, knocking in six runs, as Lewis-Clark hammered UBC 18-1. So, for the double dip UBC pitching retired Frostad once. Frostad had a pair of hits and two RBIs in an 8-7 win over Central Washington Wildcats. Frostad had four hits, including a home run, and drove in five runs as the Warriors defeated Albertson 16-1 and went 3-for-4 as Lewis-Clark defeated Albertson 7-6. Frostad had two home runs and knocked in three runs as the Warriors lost to Albertson 6-5 and singled in a 10-3 win over Albertson. Frostad also singled in a 15-3 loss to the Washington Huskies at Husky Ballpark in Seattle, Wash. Frostad had another five-RBI game and homered in a 10-3 Lewis-Clark Start win over St. Martin’s at Lacey, Wa. Frostad had two hits as the Warriors defeated the Thunderbirds 12-4. On the season, Frostad hit .354, with 14 doubles, one triple, 11 homers and 52 RBIs. The Texas Rangers selected Frostad in the 13th round and he signed. For Frostad, it was his first selection to the All-Canadian College team. Shortstop: Matt Rogelstad (junior, Coquitlam, BC), of the Arkansas State Trojans. Rogelstad was named to the All-Sun Belt Conference Second Team. Rogelstad had three hits, including a triple, as Arkansas State was eliminated from the Dodge Sun Belt Conference tourney, with a 5-4 loss to the Florida International Golden Panthers. Rogelstad singled twice, besides his triple and knocked in a run. Rogelstad doubled in a 6-2 Arkansas State loss to the South Alabama Jaguars. Rogelstad led ASU in average and RBIs while slugging a team-high .523. On the season, Rogelstad hit .341 in 51 games with 12 doubles, two triples, eight homers and 41 RBIs. At the end of the summer Seattle Mariners scout Wayne Norton (Port Moody, BC) signed Rogelstad to a contract. It was Rogelstad’s first selection to the All-Canadian College team. Outfielders: Darren Meloche (junior, Stony Plain, Alta. ), of the Bellevue Bruins; Michael Schlekewy (junior, Calgary, Alta. ), of the Texas A&M Corpus Christi Islanders and Glenn Jackson (sophomore, Toronto, Ont. ), of the Barton County Cougars. Meloche helped the Bellevue Bruins reach the 47th annual Avista NAIA World Series in Lewiston, Id. Meloche doubled for the Bruins in an 8-7 loss to the Oklahoma City Stars. Meloche doubled, singled and drove in a run in a 7-6 win over Indiana Tech and Meloche singled in as the Lewis-Clark Warriors eliminated Bellevue. Meloche singled and scored as Bellevue beat the Ottawa Braves 8-3 to win the NAIA regional and he singled and scored in a 10-1 win over Ottawa. Another fine weekend for Meloche was the Cannon Building Supply tournament in Lewiston, as he drove in four runs in the Bruins 14-2 win over the Mayville State Comets. Meloche singled in a 12-2 loss to Lewis-Clark State. On the season, Meloche hit .366 with 15 doubles, one triple, seven homer and 43 RBIs. For Meloche it was his first selection to the All-Canadian College team. Schlekewy singled, drove in a run and stole a base as Texas A&M Corpus Christi beat the St. Mary’s Rattlers and he had two hits, including a double, and knocking in a run in a 17-1 win over St. Mary’s. Schlekewy homered, singled and knocked in a pair of runs as the the Islanders edged the Prairie View A&M Panthers 4-3. Schlekewy was 2-for-2, including a double in a 9-5 win over Prairie View. And against the Centenary Gents, Schlekewy homered and knocked in four runs in a 6-5 win; homered, singled and knocked in three runs in a 9-7 win over Centenary and singled and knocked in a pair of runs in an 11-1 win over the Gents. Schlekewy also homered and singled in a 10-5 win over Texas Southern. On the season, in starting all 50 Islanders games, Schlekewy hit .347 in 50 games for the Islanders with 13 doubles, four triples 11 homers and 53 RBIs. It was Schlekewy’s first selection to the All-Canadian College team. Jackson was named to the All-Jayhawk West conference first team. He tripled in a run as the Barton County edged the Garden City Broncbusters 2-1. Jackson singled and scored a run as Barton scored an 12-4 win over Garden City. He singled and stole two bases in a 7-1 win over the Colby Trojans at Colby, Kan. Jackson stole 31 bases out of 40 attempts and had a .941 fielding percentage. He led the team in stolen bases (31), was second on the team in average (.345), second in homers, (six) and was fourth in RBIs (37). On the season, Jackson hit .345, with nine doubles, six triples, six homers and 37 RBIs. Jackson earned second-team honours on the 2002 All-Canadian College team. DH: Alain Picard (senior, St. Foy, Que. ), of the Maine Black Bears. Picard was named to 29th annual New England Intercollegiate Baseball Coaches Association first team. Picard, also named to the All-America East First Team, led the conference in runs batted in (50), and finished second in hits (63). Picard doubled and drove in a run for Maine in a 5-4 win over the Albany Great Danes 5-4. Picard had two hits in a 7-0 win over Albany and had a pair of hits and stole a base in a 3-2 loss to Albany. Picard singled and drove in a run as Maine beat the Vermont Catamounts 5-1. He also homered in a 5-3 loss to Vermont. On the season, Picard hit .321 in 55 games with 12 doubles, a triple, six homers and 50 RBIs. Picard shared third-team honours on the 2002 All-Canadian College team with catcher Darrick Jones (senior, Baldur, Man. ), of the Graceland Yellow Jackets. Left-hander: Adam Daniels (sophomore, North Vancouver, BC), of the Eastern Oklahoma State Mountaineers. Voting (first-place votes in brackets): Loewen (28) 114, Taylor (9) 78, Lupul (10) 57, Daniels (2) 36. Right-handers: Steve Carter (junior, Woodslee, Ont. ), of the Coastal Carolina Chantileers; James Avery(freshman, Moose Jaw, Sask. ), of the Niagara Purple Eagles; Tom Klapp (junior, Elkford, BC), of the Valley City State Vikings; Robbie Findlay (junior, Etobicoke, Ont. ), of the Texas Christian Horned Frogs; JonLockwood (junior, High Park, Ont. ), of the Louisiana Tech Bulldogs. Voting (first-place votes in brackets): MacNevin (8) 65, Corby (14) 53, Sobkow (8) 50, Axford (11) 50, Carter (4) 26, Avery (1) 15, Klapp (1) 8, Findley (1) 7, Lockwood (1) 5. Relievers: Rich Conway (sophomore, Maple Ridge, BC), of the Southern Idaho Golden Eagles; Matt Miller(freshman, Ottawa, Ont. ), of the British Columbia Thunderbirds; Scotty Kelly (freshman, Belleville, Ont.) of the St. Louis Forest Park Highlanders. Voting (first-place in brackets): Braun (15) 66, Peet (12) 64, Stuart (11) 64, Hurd (3) 35, Conroy (3) 29, Miller (4) 19, Kelly (1) 3. Catcher: George Kottaras (sophomore, Markham, Ont. ), of the Connors State Cowboys. Voting (first-place votes in brackets): McRae (37) 127, Stang (2) 54, Izaryk (3) 51, Elder (6) 46, Kottaras (1), 3. First base: Ryan Hay (senior, St. Catharines, Ont. ), of the Tennessee Tech Golden Eagles. Voting (first-place votes in brackets): Kaye (29) 105, Houston (8) 76, Amonite (9) 48, Simon (3) 48, Hay 11. Second base: Frank Jeney (sophomore,, Windsor, Ont. ), of the Wayne State Warriors; Tyler Johnstone (sophomore, Brampton, Ont. ), of the Purdue Boilermakers; Brad Frick (junior, Surrey BC) of the Bethune-Cookman Wildcats; David Latour (sophomore, Barrie, Ont. ), of the Central Michigan Chippewas; Gerry Dufour (freshman, Windsor, Ont. ), of the Oakland Golden Grizzlies. Voting (first-place votes in brackets): Shimizu (31) 111, Ircandia (9) 69, Becker (2) 40, Jeney (2) 31, Johnstone (3) 30, Frick 15, Latour (1) 6, Dufour (1) 3. Third base: Ivan Naccarata (junior, Longeuil, Que. ), of the Louisiana State Fighting Tigers; Jordan Blundell (junior, Edmonton, Alta. ), of the Jamestown Jimmies; Matthew Bergeron (freshmen, Trois-Rivieres, Que. ), of the Northeastern Oklahoma A & M Golden Norsemen. Voting (first-place votes in brackets, Including one tie): Cho (26) 101, Smithson (13) 74, Frostad (8) 60, Naccarata 24, Blundell (2) 21, Bergeron (1) 13. 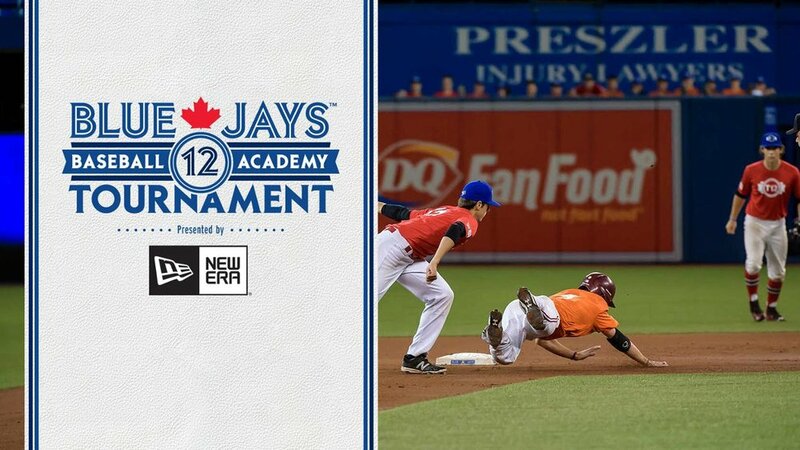 Shortstops: Arman Sidhu (freshmen, Mississauga, Ont. ), of the Northeastern Huskies; Tim Hinchliffe (senior, London, Ont. ), of the Ashland Eagles; Reed Eastley (sophomore, Brandon, Man. ), of the Niagara Purple Eagles. Voting (first-place votes in brackets): Arishenkoff (26) 95, Parsons (10) 66, Rogelstad (8) 61, Sidhu (4) 23, Hinchliffe 17, Easterly (1) 13. Outfielders: Sebastien Boucher (sophomore, Ottawa, Ont. ), of the Bethune-Cookman Wildcats; Ryan Crotin (junior, Whitby, Ont. ), of the Salem International Tigers; Colin Rudko (senior, Waskatenau, Alta. ), of the Missouri Valley Vikings; John Hurd (sophomore, Fruitvale, BC), of the Southern Idaho Golden Eagles;Charlie MacFarlane (sophomore, Lantzville, BC), of the Eastern Oklahoma State Mountaineers; Jimmy VanOstrand (freshman, North Delta B.C. ), of the Allan Hancock Bulldogs; Chris Ames (sophomore, Fredericton, N.B. ), of the British Columbia Thunderburds; Sean Dyck (senior, Kamloops, BC), of the British Columbia Thunderbirds; Jim Henderson (junior, Calgary, Alta. ), of the Tennessee Wesleyan Bulldogs. Voting (first-place votes in brackets): McCurdy (33) 116, Borgo (35) 113, Leon (16) 84, Tosoni (11) 70, Emanuele (11) 60, Schroer (8) 59, Meloche (6) 54, Schlekewy (7) 55, Jackson (3) 39, Boucher (3) 27, Crotin (1) 26, Rudko (5) 22, Hurd (1) 21, MacFarlane (2) 20, VanOstrand (1) 15, Ames (2) 13, Dyck (1) 6, Henderson (1) 3. DH: Adam Loewen (freshman, Surrey, B.C) of the Chipola Indians; Fraser Vernon (junior, Mississauga, Ont. ), of the Graceland Yellow Jackets; Jim Henderson (junior, Calgary, Alta. ), of the Tennessee Wesleyan Bulldogs. Voting (first-place votes in brackets): Brnardic (34) 120, Hull (4) 66, Picard (5) 58, Loewen (4) 28, Vernon (1) 13, Henderson (1) 3.